Many factors can cause Puffy Eyes such as allergies, stress. Regardless of the reason, puffy eyes look not so good. You can’t get rid of it completely and permanently, but there is something you can do to reduce them. Determine the cause and try the different solutions for different types. Allergies. If you have symptoms like itchy and sneezing, watery eyes, your puffy eyes may be caused by allergies, especially seasonal allergies. Then, remove or treat the allergies by taking medicine like Claritin of pseudoephedrine or look for doctor. Lifestyle. If your puffy eyes were caused by tiredness, stress or some bad habits, all you have to do is to form a good habit. Get beauty sleep, keep relax, reduce alcohol consumption, quit smoking and increase daily fluid intake. Side effect of other conditions. If your puffiness is a side effect of other conditions such as pregnancy or dermatitis which is temporary, you must treat it individually. No matter what cause the puffy eyes, besides those solutions, you have some remedy alternatives here. Take 1 tbsp. of black-strap molasses containing vitamin B-1 and 2 tbsp. of organic apple-cider vinegar twice a day. This can improve circulation and reduce the puffiness. 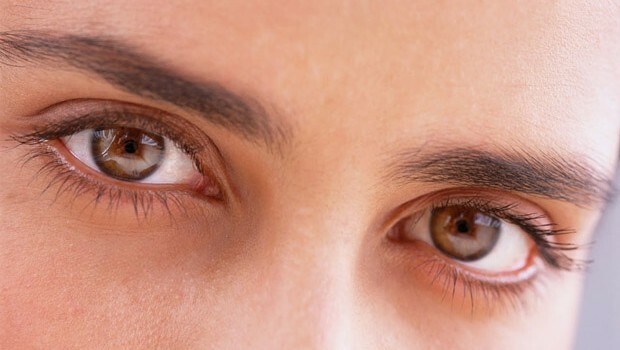 Tap fingers under eyes and move from the inside to the outside, which can encourage fluid drainage. Place something cold like ice tube and cooled tea bags over your eyes for several minutes. Cold compresses are useful for reducing puffy eyes. Cucumbers, potatoes, witch hazel and spoon are alternatives. Camouflage the puffy bags by cosmetic treatment. Choose an eye cream formulated for firming eye tissue. When you sleep, elevate your head. Reduce salt intake, eat bananas and raisins, drink cabbage or cranberry juice and exercise a lot. All of these help you cure puffy eyes from the inside out. Wash you face with cool water and pat dry.